I was lucky enough to interview the awesome Paul Jessup! Woo! He is the critically acclaimed author behind Open Your Eyes, Glass Coffin Girls and his newest book Werewolves. Check it out! Can you tell us about your book Werewolves? Sure can! 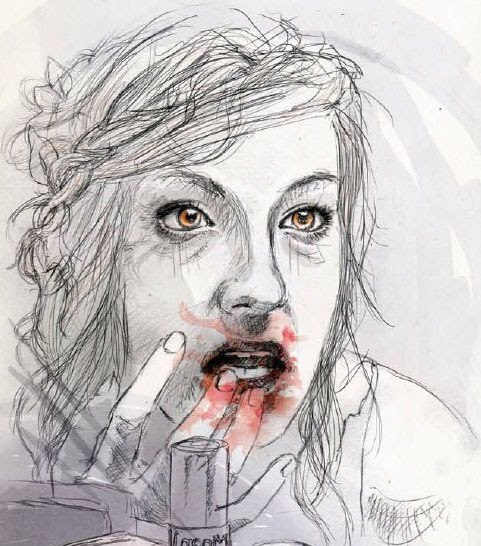 It’s an illustrated journal about a teenage girl named Alice who gets bitten one night and slowly changes into a werewolf. The journal is supposed to be her journal, her experiences and her art. 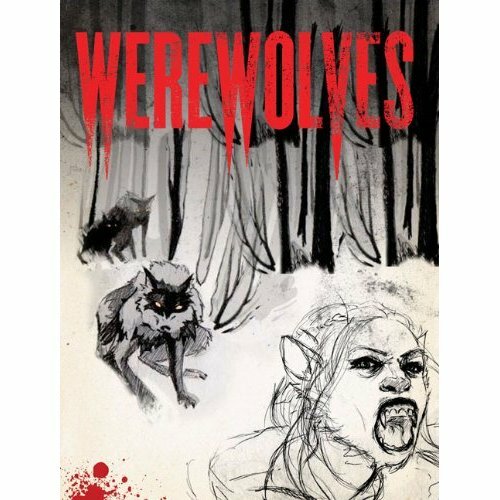 The plot is basically one of survival in this brave new world, as she is hunted by werewolf hunters and falls in with a violent pack. As a vegetarian she is constantly in conflict with her werewolf self. Never content with the violent, aggressive side the wolf brings out. She searches out a cure, and in doing so sets off an explosive series of events. Where did the idea for Werewolves come from? Chronicle had done a book before this one, called Zombies, that was also in a similar illustrated journal style format. The book was really cool, and my idea was a book in the same style, but involving werewolves. The rest of it came from trying to find the most amount of conflict possible in the characters. Conflict makes for fun reading, and so I wanted to pack it with all sorts of stuff. I looked for all forms of conflict everywhere, and I researched real life wolf packs in order to bring a realistic feel to the books. The pack dynamic and politics brought on a larger conflict that was also more human, in a way. I don’t want to give away too much there- don’t want to spoil it for anyone. How was working with Allyson Haller? Great! Her art is so amazing. So fluid. It meshes with the story perfectly. I can’t imagine this book without picturing her art now. She made the characters more real. Ok, here’s a question I ask all authors I interview: I’ve noticed that most of the authors I follow on Twitter talk about the music they’re currently writing to. What kind of setting/atmosphere do you find most conducive to your writing? I have two kids, so I’ve learned to write when I can, where I can, and to hell with being conducive to writing. I fi didn’t, I would never get anything done! That said, I always write my best when the kids are asleep. Either late at night, after some good wine and the Misfits blasting, or first thing in the morning with my first cup of coffee. What do you think it is about werewolves that people love so much? I think werewolves show us the side of humanity that is more real and more true. We keep hiding ourselves behind masks of conformity and rigidity, pretending to be people we’re not in order to make everyone happy. But in the end, we’re all wild animals pretending to walk on two legs and type on computers and live in nice houses. The wolf is that animal side, that internal conflict we’ve all got to deal with every day. The werewolf speaks to us in a way that no other monster can. Cause it’s so wild and brutal and free. It’s a way of expressing this version of us, a way of going outside of the law and common decency. A way of getting back to brutal reality. 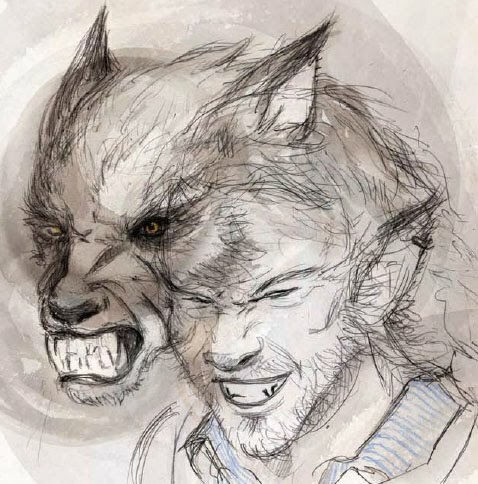 Who is your favorite fictitious werewolf (other than your own)? That’s a good question. Since most werewolves are bad guys, it narrows down the field a lot. I’d have to say either Billy the Werewolf from the Dresden Files books or Kitty from Carrie Vaugn’s series. What is your favorite werewolf book/movie/show? Another tough choice! I’d have to go with movies here and choose Dog Soldiers. That one was awesome. If werewolves were discovered to exist today, do you think our society would accept them or try to destroy them? I think the first reaction would be to destroy them. Esp. down south. I can see a series of books that explores racism this way, in a lot similar to the way True Blood uses Vampires to talk about homosexuality. If the werewolves survive past the first 20 or so years of hatred, people hunting them and racism, then they might infiltrate society enough to be mostly accepted. But not quite. Well, I’ve got two books waiting in the wings that are urban fantasy, but I don’t want to talk about. Might jynx them, and we don’t want that. I’ve got a book about college students fighting zombies coming out from Apex books shortly. It’s a small book, but a lot of fun to read. Think Kill Bill meets Clerks with zombies. Other than that, I’m planning on doing a podcast before the year’s out. A weekly werewolf story serial about homeless werewolves in Cleveland. Outcasts, taggers, trying to hide from wolf hunters. It’s in the same basic world as Werewolves, but grittier in a way. Darker.